Howard (inset) is charged with two counts of felony theft. Ronald Howard had an idea last week. So far, it has not panned out as he apparently hoped. 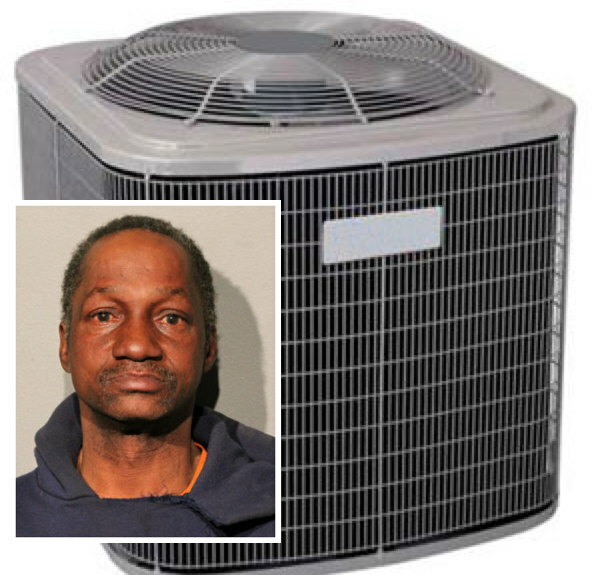 Howard is accused of stealing two central air conditioners from Lincoln Park condominiums and then trying to sell the units at a nearby construction site. Two residents in the 1800 block of North Dayton reported that several men had stolen AC units off of their patios last Tuesday afternoon. Within minutes, one of the residents found their stolen unit down the street at a building site—and Howard was trying to sell it. Amused police officers managed to arrive on-scene before Howard could slip away. He was taken into custody and charged with two felony counts of theft. Prosecutors say one of the stolen units was worth $3,996 and the other about $2,600. Judge Michael Clancy agreed to let Howard go free on electronic monitoring with a $50,000 i-Bond.